2nd Generation Quad Core i5! Excellent Condition ! 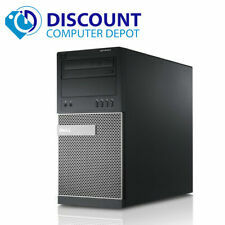 Fast Computer System at a Fantastic Price! 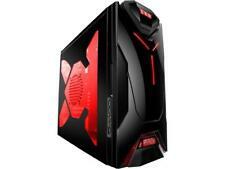 Alienware Aurora R4 3820 PC Desktop . Condition is Seller refurbished. Shipped with USPS Parcel Select Ground. Condition is Used. Overclocked 25% Stable. Lightly used for streaming. Case: Phanteks. PCI-E SSD: 250gb. RAM : 3200 16GB Ram. CPU: 2.0 GHz Core 2 Duo Processor. If a product can not be replaced due to availability, a similar agreed upon product may be substituted of equal value. We refurbish our computers based on functionality. Integrated Bluetooth 4.0 Wireless LAN 802.11a/b/g/n/ac featuring Dual-Band (2.4GHz and 5.0GHz)1000BASE-T Ethernet. Windows 10 Pro. Excellent Condition HP Envy computer. Disk has been wiped clean and a new copy of Windows 10 was installed, saving you from the typical bloatware. Fast Core i3! 1 Year Warranty! 1 Year Warranty! Fast Shipping! Fast Tech Support! Introductory Blowout Price! Ships Faster! Condition is Used. Hyper threading was only available on Xeon server processors before the Pentium 4 3.06Ghz was released. I upgraded to the Pentium 3.06GHz HT after its price had dropped significantly. 128GB SSD (Solid State Drive) 1TB 7200rpm SATA Hard Drive. HP Envy Series 750-424 Desktop PC. HP Envy 750-177C. 1TB 7200rpm SATA Hard Drive. Manufacturer (HP) refurbished in HP box. Proudly display this stylish PC. 256GB SSD 1TB 7200 rpm SATA (6.0 Gb/sec). HP HP Envy 795-0030QD Desktop PC. HP Envy 795-0030QD. Hard Drive 256GB 1TB 7200rpm SATA. The spacious hard drive and solid state drive, hexa-core processor and Bluetooth® technology let you seamlessly multitask, and the HDMI™ port lets you view everything on an HDTV. Fast Intel Processor! Great Condition! Fully Assembled, Plug and Play! PROCESSOR (CPU):AMD RYZEN 3 2200G APU 3.7 GHZ Turbo Quad Core APU w/ AMD WRAITH QUIET Cooler. Supports RYZEN CPU UPGRADE PATH! 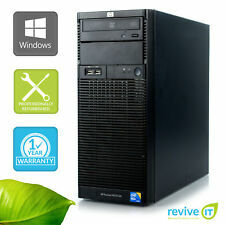 Includes Solid State Boot Drive AND 500GB HDD. 1TB SATA 7200RPM. Dell Wireless Card (802.11ac Bluetooth 4.2, Dual Band 2.4&5 GHz, 1x1). Dell Keyboard and Mouse. Combo Headphone/Microphone Jack. 2TB 7200rpm SATA Hard Drive. HP Envy Series 750-124 Desktop PC. HP Envy 750-124. HP wireless keyboard and mouse. Support of up to three displays varies by sku. Internet service required and not included. 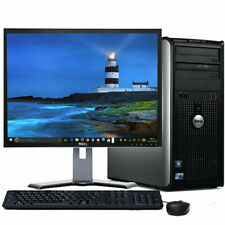 Fast Dell OptiPlex 790. OptiPlex 790 Tower Desk Top PC COMPUTER Network Card 790 C.O.A. Dedicated Graphics DVI HDMI. Dell Primary Drive or Optical Drive Genuine Microsoft Windows software preinstalled. 1TB 7200rpm SATA Hard Drive. 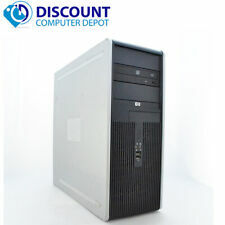 HP Pavilion 590-P0066 Desktop PC. Rear: 1 USB 3.1 Type A 5 USB 2.0 1 HDMI 1 LAN. HP Pavilion 590-P0066. 1TB hard drive for a blend of storage space and speed. Hard Drive 1TB 7200rpm SATA. This computer is in excellent condition. I am a IT professional and Army veteran and worked on it myself. It has a clean install of windows on it. Here are the key specs -Microsoft Office Professional Plus 2019 (Whole Suite). AMD Ryzen™ 7 1800X (3.6 GHz base frequency, up to4.0 GHz burst frequency,16 MB cache, 8-core ). Microprocessor AMD Ryzen™ 7 1800X (3.6 GHz base frequency, up to 4.0 GHz burst frequency, 16 MB cache, 8-core). 2TB 7200 rpm SATA (6.0 Gb/sec). HP HP Envy 795-0030QD Desktop PC. HP Envy 795-0030QD. The spacious hard drive and solid state drive, hexa-core processor and Bluetooth® technology let you seamlessly multitask, and the HDMI™ port lets you view everything on an HDTV. Optical Drive: DVD RW. Case Color: Black. Residents to Hawaii, Alaska, Puerto Rico, the US Virgin Islands or Mariana Islands. Dell Gaming TOWER PC I5 3.3GHz 16GB 1TB SSD Win 10 HP 64 GT730 2gb+ MONITOR 27"